our new meeting location in the YMCA Building located at 400 River Road. 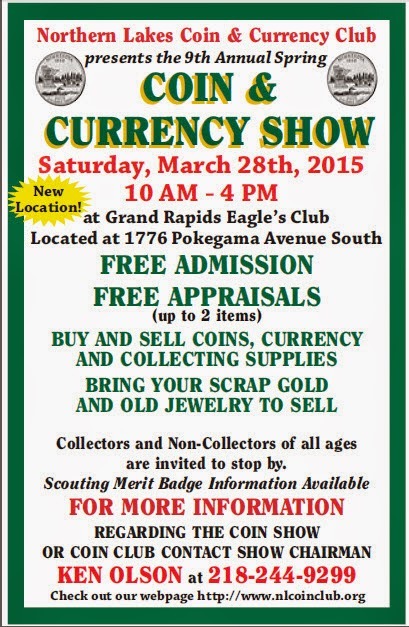 In lieu of a meeting, there will be a mini coin & currency show with items for sale. Non-members are welcome to attend. 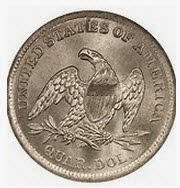 Seminar Topic: January 19th, 2015 will be about Tokens, Medals and other related memorabilia. monthly meeting on Monday, January 19th, 7:00 PM in the Grand Rapids Township Building, 216 North Pokegama Ave. 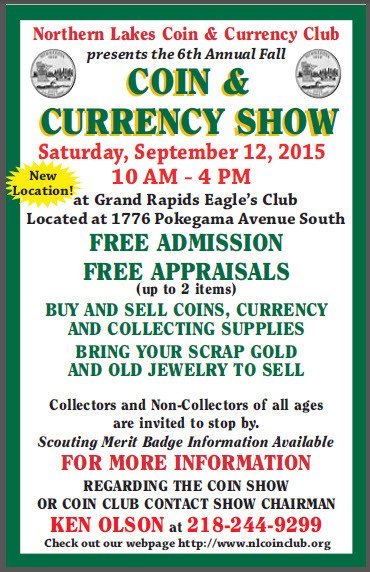 The seminar topic will be about Tokens, Medals and other related memorabilia. Please bring any of your own items to show and talk about.